last visit: 17.04.19 It's been awhile since I did any of the Adventure Paks. I just completed the first part of Pak 5. But I'm not sure how to register my completion. How do I get credit for completing the Adventure. You just file your pireps using the flight numbers for the specific AP flight number you're doing just like any other pirep is filed. For example, if you flew the first flight for Adventure pack 5, it shows the flight number of AP51 for that flight on the Adventure Packs page. The next is AP52, etc. They should show up as a regular flight in your pilots logbook. That's how you get credit for them. When all the flights are completed, for a particular adventure pack are logged, then your completion award will automatically be given. 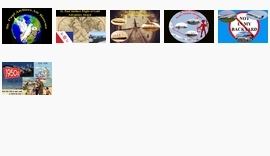 If you also add them to your Forum signature as I do, then just visit the Adventure pack page while logged in at SPA main site. This auto updates your forum signature icons with any updated awards - if you've followed the directions for including the awards in your forum signature as explained on the adventure pack page down by the awards area. Also note that Adventure Pack awards and Econ Module awards are automatically awarded and show up on the new SPA Awards page. The link to the awards page is from the main menu->Members->Awards. All pilots have a record on the new awards page even if they don't have an award there yet. Just click on the name from the list and the detail appears. If you have further questions or problems, let me know. last visit: 17.04.19 Got it. Thanks. I completed AP52, AP52 and AP53. But for AP54, in the Swiss alps, I cannot find the crash site. I have the route numerous times. Could you give me a Lat and Long, so I can see if it is installed correctly? Both the above scenery and both the above library files should show in your scenery library and activated. This also uses the spa1_controller_FX which should be placed in your effects folder. If the above is correct, then things are installed correctly. Also note that while the crash site is only 7 miles from LSMM, it is at an elevation of 11,000 feet. last visit: 17.04.19 I've got all that, plus the other sceneries showed up okay, so I guess its installed correctly. I did note that on my p3d v4 the scenery alignment is off a bit (the people aren't standing on or by the plane as they should be), but the scenery is all there. It was originally designed for fsx and it's one I hadn't tested in p3d. I might have to make some minor adjustments for this one for P3d users at some point, but it's still ok as it is for the most part. last visit: 20.04.19 Several other things about that flight, besides being a very scenic flight, you can watch for a flat area carved out of the mountain side - I did this to provide landing area, but the friction is off on that so it's very slippery and you'll want to be almost at stall speed so that you can stop without sliding off the edge or into a rock cliff. I prefer to land towards a wall so I'll bounce off the wall rather than sliding off the edge into the abyss. last visit: 17.04.19 Thanks a lot. I flew the adventure and knowing it was on the flat area helped. I tried to add my awards to my signature, but they don't show up. You can see what I put into my signaure in my messages to you. What am I doing wrong? Sorry for the frustration for you on that. This even surprised me. I did remove the duplicate line from "extra information" on your profile, I'm not sure what that did exactly, but it didn't fix the problem. Comparing your signature string and my own showed the only difference being spaces between the "<" and ">" symbols. I removed them from your signature line so it looks like mine and it works as expected. What is strange is that spaces inside an image tag (delineated by those symbols) doesn't affect regular html, yet they seemed to mess things up for a signature tag. I'll have to add a note to my directions about that to prevent future problems. I think it might have to do with how the forum translates that information into code for the signature input - I'm guessing adding special characters for the space character that makes the image tag unreadable. I do have spaces in my directions, so a copy and paste and filling in the information just as you did would have produced the problem you experienced. You did everything correctly, so I better change the instructions a bit. I think I put spaces in there when I posted the instructions for readability - but what good is that if it doesn't work. Again, sorry about that. I'll have to correct that on the instructions page tomorrow, but you're good to go now. Any future icons should automatically update when you log in at SPA and visit the Adventure Page. That updates your signature. It sometimes takes a bit for your browsers memory cache to refresh so that you'll see the update, depending on your browser and its settings. As always - any future problems, just let me know. last visit: 17.04.19 No problem. Again, thanks so much for your time and help. last visit: 17.04.19 Okay, I looking for the crash sites for the Grand Canyon collision. I have located Temple Butte and Char Butte, but see no signs of the crash. Is the wreckage on top of the buttes, near the bottom, etc? Scenario: In Part-II of this third adventure we seek out the impact sites of the two ill-fated airliners. Take off from Grand Canyon National Park Airport (KGCN) and follow the GCN VOR radial 34 outbound about 20 miles to Temple Butte where the crippled TWA plane crashed to the ground. From there fly easterly in valley to the Colorado River, then veer left (north) and follow the Colorado River to where the Little Colorado River branches off to the right. Stay with the main Colorado River a bit farther north to Char Butte where the United Plane fell to earth. Finally, return to KGCN to complete this last part of AP6. The crash locations are in the valley by the water, and like the mountain scene of the previous AP, an area was carved out to allow for landing your bush aircraft at the various crash scenes. These are the photos in my gallery of those sites. If you absolutely cannot find the sites on your own, you can probably go to my gallery album and find these pics at actual size and read the geo coordinates from them to find the exact locations. last visit: 17.04.19 Thanks. Got it now. I just wanted to add a word of encouragement for your efforts to find those difficult sites in the Adventure Packs. I'm sorry that this has turned into such a difficult endeavor, but you're not alone. I just completed the latest AP 10 again after doing the multi-player version some time ago. I delay flying my 'official' AP until others have flown and posted their pics of the adventure so that it might be a new discovery for our pilots, and after the related multi-player flight for that AP so that my computer resources can be devoted to the recording of the video without the added burden of SPAACARs/pirep and tracking of the flight which takes additional computer processing that might otherwise be used for smooth video production. Anyway, after the two 2.5 hour AP10 flights that were each extended by about an hour as I searched for the victims awaiting rescue, and given the fact that I also knew the exact coordinates of the rescue scenes, it took considerable effort to find them. I've come to the conclusion that I must start adding FSX/P3d flight plans so that pilots can find these flights and make them an enjoyable experience without the frustration of trying to find a needle in a haystack. Sorry about any difficulties that this might have caused you, and I'll try to add some additional flight plans to these scenarios to help future SPA adventurers hit the mark on their first try. I know Larry (airhogg) Chew has developed a number of flight plans for these adventures, so I'll start by contacting him for them so that I might include them with those adventures that are lacking them - especially those that are really hard to find. Some of them are not too difficult based on distance and surrounding landmarks, but I'll happily consider requests for flight plan assistance for those 'hard to find' targets. Thanks for taking the time to install and enjoy these true-to-life adventure packs, recreated for SPA pilots to revisit history through the enhanced perspective of flight simulation. last visit: 17.04.19 Thank you for your tireless effort put into this site.